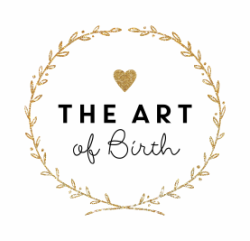 I am honoured to be a part of the Doula team at the The Art of Birth! I am a proud mother of 3 wonderful kids. After experiencing the beauty of giving birth myself, I knew that this was something I wanted to dedicate my time to. I trained to become a Doula with DONA International. I believe knowledge is power. Becoming informed about the labour process eliminates fear and empowers women to take control of their birthing rights, which allows them to have a positive birth experience…their way. My goal as a Doula is to help women achieve their ideal birth and experience the empowerment that comes from it. Motherhood is the most beautiful transformation of our lives. My role as a Doula is to support the labouring woman and her partner in the most vulnerable and important event of their lives. I look forward to helping with your birth story.